One of the most overlooked aspects in cooling is thermal compound. You never hear people say, I've got a Coppermine with Silver thermal grease and an Alpha heatsink. All, people mention is their heatsink and their processor. So, if no one ever brags about their thermal paste it must not be important right? Wrong! After all, your thermal paste is what gets the heat from your processor to your heatsink so it can dissipate. Is it worth forking over your hard earned money? Well, keep reading and you tell me. I'm not going to throw in a bunch of thermal pastes here. I'm going to concentrate on showing you what is going to happen when you spread this stuff on there in place of your old white paste. 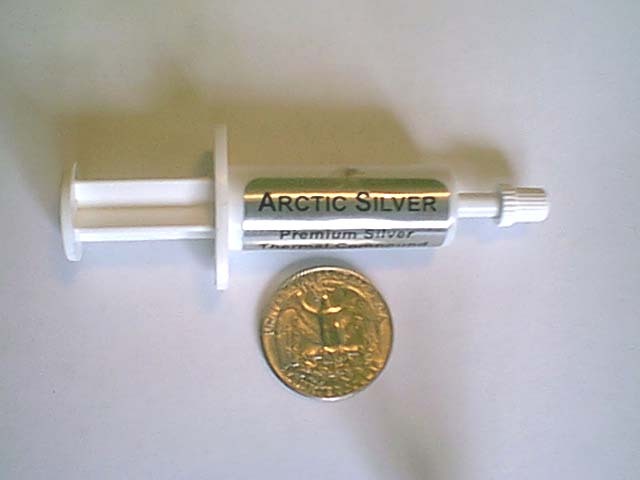 Contents: Silver Filled Silicone w/ 79-82% pure micronized silver. 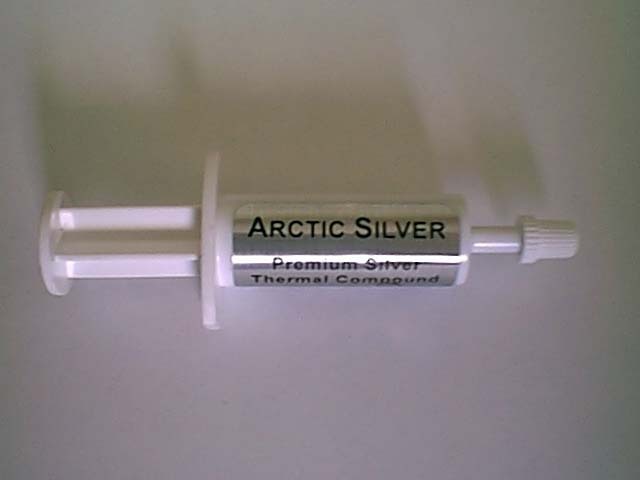 As you can see without even testing, the Arctic Silver has far superior heat transfer than the ordinary thermal grease (higher is better). I tested the thermal conductivity of the thremal paste buy creating a 12v closed circuit with a halogen bulb. I severed the wires (creating a open circuit), placed a little heap of silver thermal paste on a piece of paper, and then I stuck both sides of the severed wire into the paste. No light! No light means open circuit, which all means that the Arctic Silver holds up to it claims of negligable electrical conductivity. Now, let's move on to the next step: application.